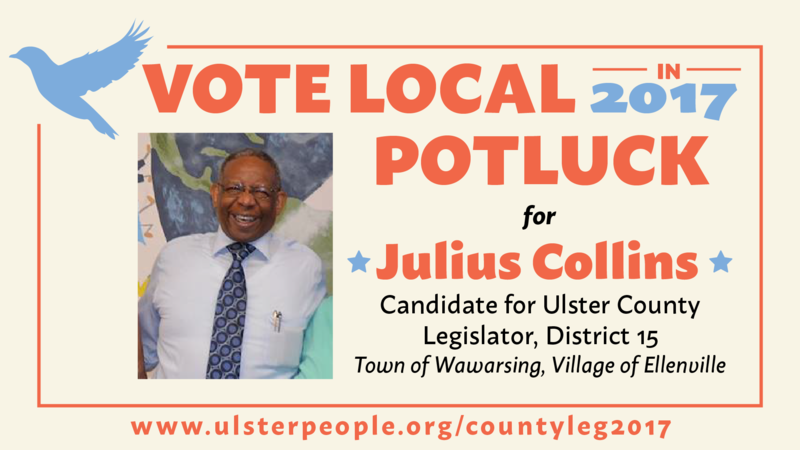 Join us at a potluck to meet Julius Collins, candidate for Ulster County Legislature District 15, and help get the word out about his campaign. We’ll have lists of likely supporters, and attendees will have the opportunity to call or write the people they know who are on the lists. We’ll also be reaching out to Bernie supporters in his district. There will be other ways to help as well – it will be a fun evening! Please bring a dish and/or beverage to share, if you are able!